Visual art activities allow young people to express their creative side while gaining valuable life skills and self-confidence. Express yourself through creative art projects! Have fun while gaining skills and confidence by drawing, painting, taking photos, working with wood or making crafts. 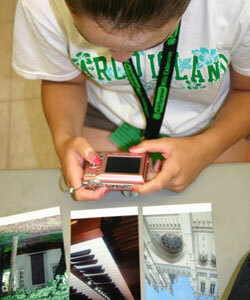 4-H visual arts includes crafts, fine arts, photography and woodworking.